The John Milton and Ruth Neils Ward Collection of the Harvard Theatre Collection is comprised of thousands of books, scores, librettos, playbills, illustrations, and ephemera relating to public performances that incorporate music and dance in an essential way. 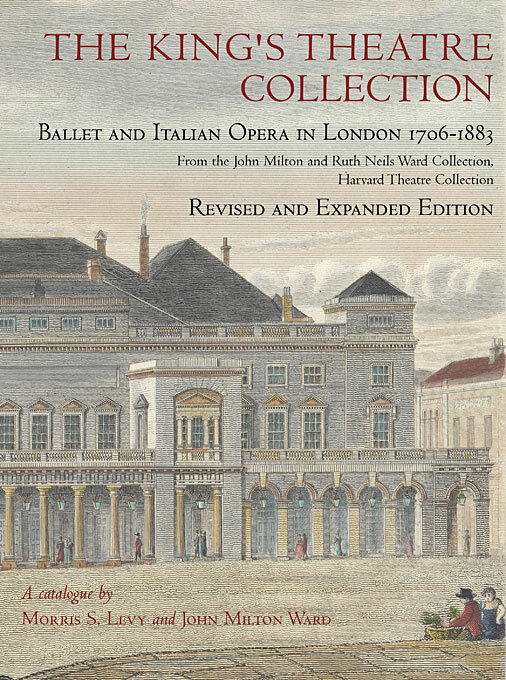 The revised and expanded edition of The King’s Theatre Collection: Ballet and Italian Opera in London, 1706-1883 has an additional 200 entries, 20 new illustrations, and several new indexes. 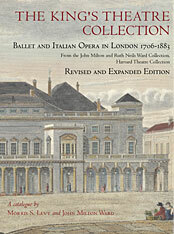 With over 1,600 entries and 40 color illustrations, this volume provides a window into the historical significance of the King’s Theatre to the cultural life of London and abroad, and will appeal to musicologists, historians, theater scholars, and librarians interested in eighteenth- and nineteenth-century opera and ballet.